van Eijck, D.J.N. (2013, January). 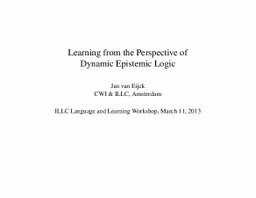 Learning from the Perspective of Epistemic Dynamic Logic.